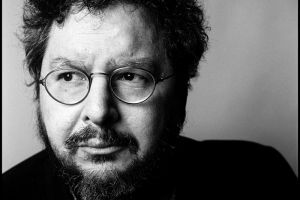 David Gelernter is a professor of computer science at Yale University, chief scientist at Mirror Worlds Technologies, a contributing editor to The Weekly Standard, and a member of the National Council of the Arts. The author of eight books on topics ranging from poetry and artificial intelligence to aesthetics, technology, and computer science, Mr. Gelernter is also a widely published essayist on art, culture, politics, and Jewish thought and the author of a number of books, among them: MIRROR WORLDS: or the Day Software Puts the Universe in a Shoebox . . . How It Will Happen and What It Will Mean (1991), THE MUSE IN THE MACHINE: Computerizing the Poetry of Human Thought (1994), 1939: The Lost World of the Fair (1995), DRAWING LIFE: Surviving the Unabomber (1997), and MACHINE BEAUTY: Elegance and the Heart of Technology (1998).